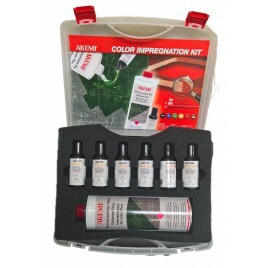 Ready to use special impregnation, which can be dyed using AKEMI Stone Ink. Darkens the colour and structure of fine ground and polished stones. 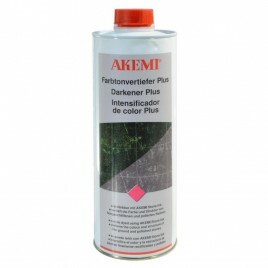 AKEMI Darkener Plus can be dyed using AKEMI Stone Ink, to intensify the colour of the stone surface or to alter the colour shade. For use on fine gound and polished, absorbent natural and artificial stones, such as marble, slate, Solnhofen slabs, sandstone, granite, gneiss and concrete blocks. 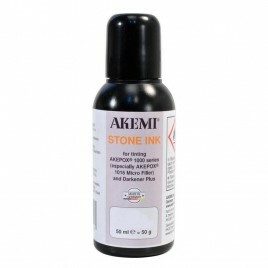 Also suitable for the darkening without using AKEMI Stone Ink. Maintains the lustre of the gloss finish. Darkener Plus has a water-repellent and stain-resistant effect and facilitates care. Can be used inside and outside with lasting darkening effect.